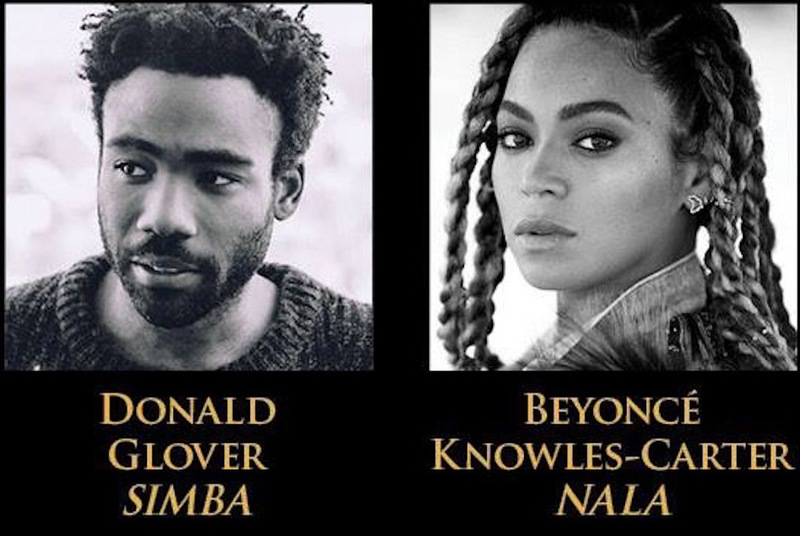 In a post on her Facebook page, Beyoncé announces that she has joined the cast as Nala in the highly-anticipated live-action movie of Disney’s The Lion King, set to come out on July 19, 2019. News of casting news started coming out this year, including Danny Glover who will be playing Simba, James Earl Jones who will be playing (and reprising his role as) Mufasa, Chiwetel Ejiofor who will be playing Scar, John Oliver who will be playing Zazu, Seth Rogen who will be playing Pumbaa, and Billy Eichner who will be playing Timon. Other cast members include Alfre Woodard as Sarabi, John Kani as Rafiki, Eric Andre as Azizi, Florence Kasumba as Shenzi, JD McCrary as Young Simba, Shahadi Wright Joseph as Young Nala, and Keegan Michael Key as Kamari. Favreau, who previously directed the 2016 live-action hit The Jungle Book, will helm the 2019 remake, together with producer Jeffrey Silver. Previous Broadway Open Mic Comes Back with "Thoroughly Modern"